I’m just going to go ahead and be honest here. 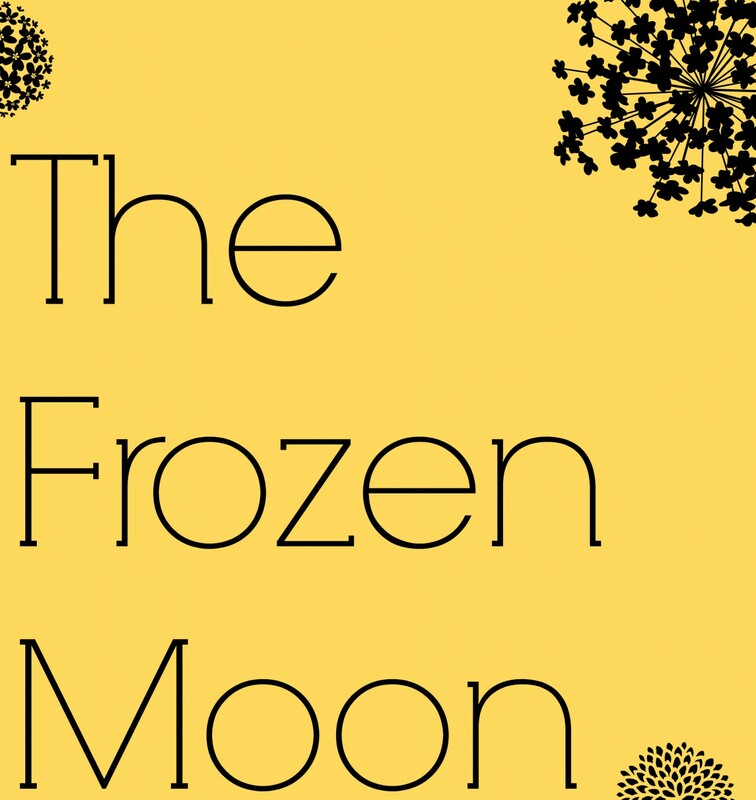 I had a moment last week, a whole week moments, really, a week of lessons that quickly devolved into little more than coloring and writing letters to Santa and watching Veggie Tale movies about the true Saint Nicholas. Right then, right there, sitting at my computer, wrapping up last minute editing for work, I had a mid-holiday-season moment, where everything felt like a complete disaster and I felt honestly sad for my children. 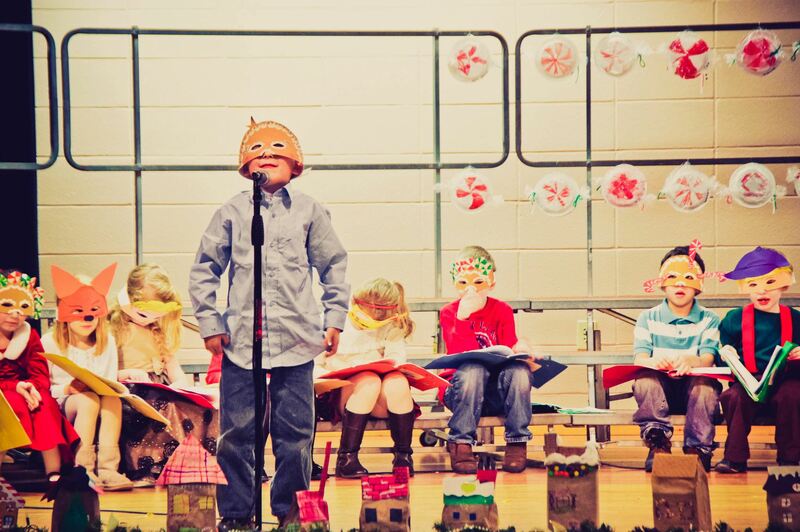 The picture above is Alex in his 1st grade performance of The Gingerbread Boy. The smile on his face, at least the half of his face that you can see, is pride. He memorized his lines, he performed for his classmates, his friends, and his family. When they were through, everyone sang Happy Birthday to him. There, he was with friends who called him for play dates, friends who rushed to see him when we dropped him at classmates birthday parties. He was popular. My fidgety, knock-knock joke attempting, often annoying to his siblings, little boy – was the kid in his classroom – and I was met by parents after the play, shaking my hand and saying, Oh, so you’re ALEX’S mom. The Alex. I kid you not. But, he had no classroom full of his peers, no sense of accomplishment for having memorized and performed anything. We made no gingerbread houses out of paper bags, we had no Christmas party or candy cane art work, and we did not do anything well. I questioned myself and every choice we’ve made since saying the big N-O to the yellow school bus. In a moment of panic that I might be failing them both socially AND academically, I gave Lila and Alex each a test on language arts, reading comprehension and math. Why? Because I needed to have them quiet and busy. Because I was grasping at anything to validate my homeschooling. But, the surprise was that none of it made me feel any better. I basically just collapsed into winter break, with the charging footsteps of four children running over the deflated, exhausted, heap of my spirit – laughing and singing Christmas carols all the way. Truth is, we were at a breaking point, probably a full week before I was willing to let go and just give into what my family so clearly needed. Thinking back to my own childhood memories of school in the week before winter break, I remember globs of Elmer’s glue and so much glitter, losing mittens on the playground and singing variations of Jingle Bells, Batman Smells on the bumpy bus rides to and from. And I remember the feeling of walking up the steps and through the front door and that home was the best place, the only place, I wanted to be. Home, by the tree, with family. Everything else was the waiting, the stuff-to-get-through, cutout snowflakes on giant windows that I stared past as the school days went on, just longing to have that break with my family. And so now, it’s a week later. The pressure of Christmas has passed and my brain fog is lifting (ever so slowly,) and I’m listening to my kids playing throughout the house. Lila is building stories with Magnetic Poetry on our fridge. Asher is using watercolor pencils and talking about Jesus as the sun in his work of art. Alex is taking a break from his latest LEGO creation to help Evaline build her new baby a crib. Life is as it should be. Children: exploring, playing, talking and learning, without pressure. And I’m just a mom, allowing herself a morning to drink coffee and not worry about every possible thing that she’s doing that could be stunting her children’s development. Next year, I’m going to try and let us get here sooner. I’m going to try and remember that it’s okay to let go, to give in. After all, one of the benefits of homeschooling is that we are free to listen to our families cues and take that break when we need it – not when a date on the calendar tells us we are finally free to have it. Because, as great as this week has been, and as helpful as this revelation is, I would prefer to skip over the moment of collapsing into a pathetic, spirit trampled heap. you are doing a great job!! never forgot that. OF COURSE you’re not adequate. Neither is anyone else. I’m not adequate to be a middle-aged (okay, bump that up a little) woman in a dying profession with financial and health issues. Every day I get up and say, “I can’t do this.” And every day, by the grace of God, I do it. None of us are adequate. And that’s okay because this life is a rehearsal for the next one. I didn’t know Alex was in drama classes. Where does he study? Dave and I loved the pictures of your mugs. We are “Lost” nuts and are currently binge-watching the entire series. Catie gives me a season at a time. Happy New Year and we appreciate everything you and V. do. Alex has been taking classes with Lights Up Drama. She teaches in Milford and Hollis. This season, they did Greek tragedies with a modern twist. Lila is going to sign up for next season as well, I think.